It has long been believed that tiny desktops cannot be powerful PCs and that a small footprint means you have to make compromises. It’s time to put that outdated way of thinking to rest. 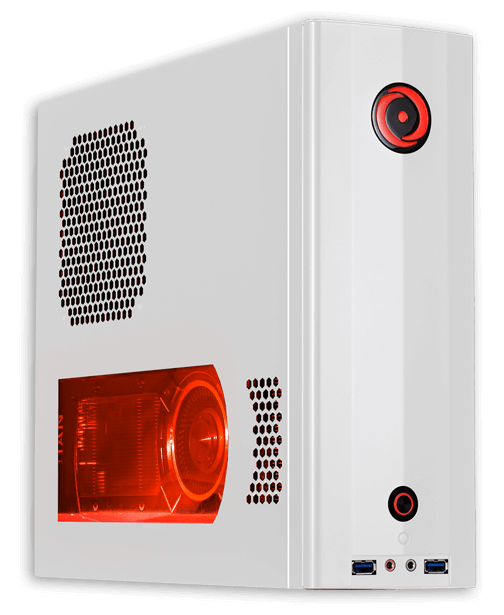 Enter the all-new ORIGIN PC CHRONOS. 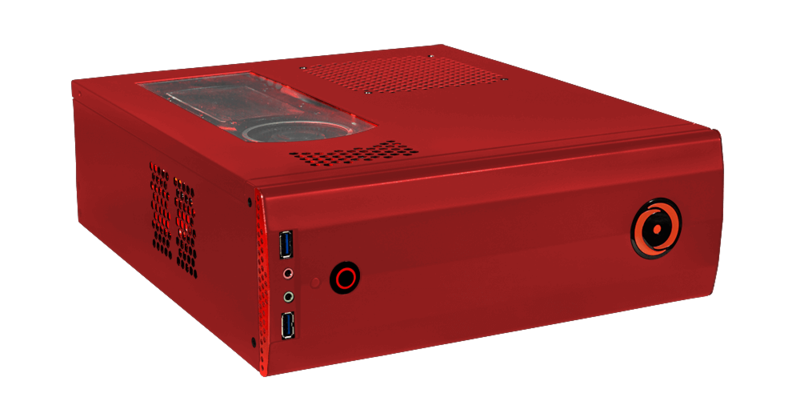 Designed from the ground up to pack the raw power of the most powerful desktop components on the market in a tiny, desk-friendly chassis, the CHRONOS is a no-compromise solution for the space-conscious user. 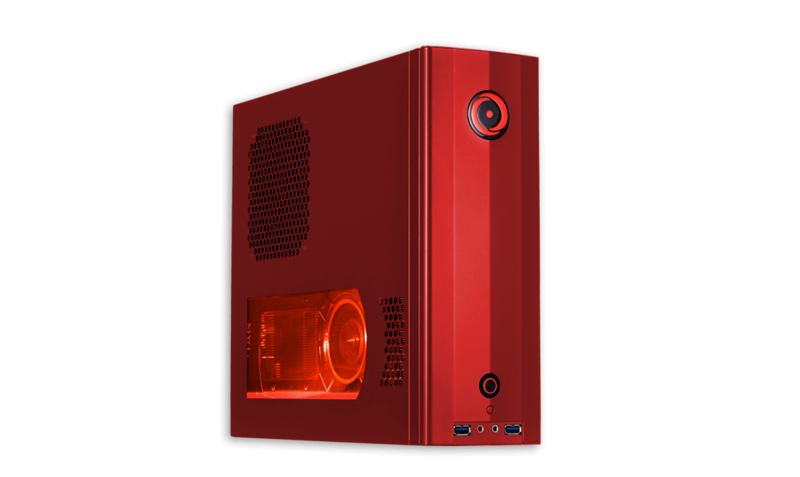 Comprised of server-grade steel and assembled with the utmost care and quality in mind by a team of award-winning technicians and engineers, the ORIGIN PC CHRONOS embodies form and function. Designed by a team trained by years of Tetris gameplay, the CHRONOS packs in a mind-boggling amount of high-performance components into one solid package including: Intel’s 8th generation processors or AMD’s Ryzen processors, NVIDIA’s 10 Series GPUs, DDR4 RAM, up to 6 SSDs, liquid cooling and a 600W PSU all connected to the latest mini ITX motherboard in a chassis that you can carry around without breaking a sweat. Looking to get deeper into the gaming experience? Literally get in the game with support for the Oculus Rift or HTC Vive VR headsets thanks to graphics card options equipped with up to 12GB of video memory. 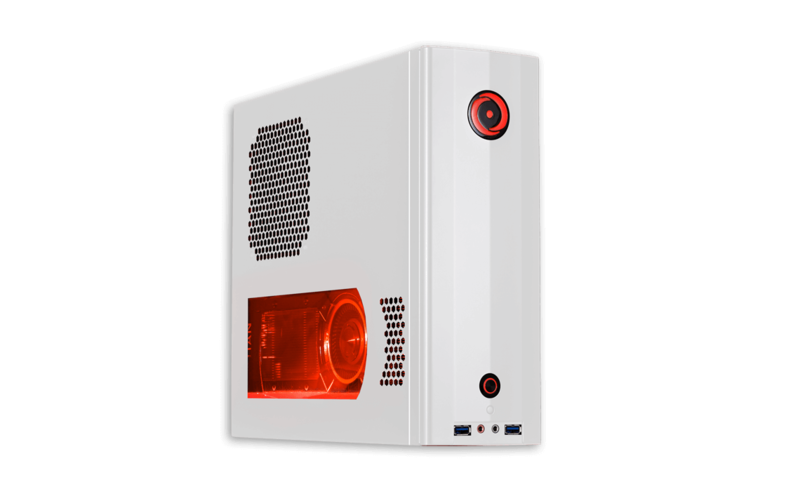 The ORIGIN PC CHRONOS is VR ready, capable of handling the latest VR hardware and software with ease. 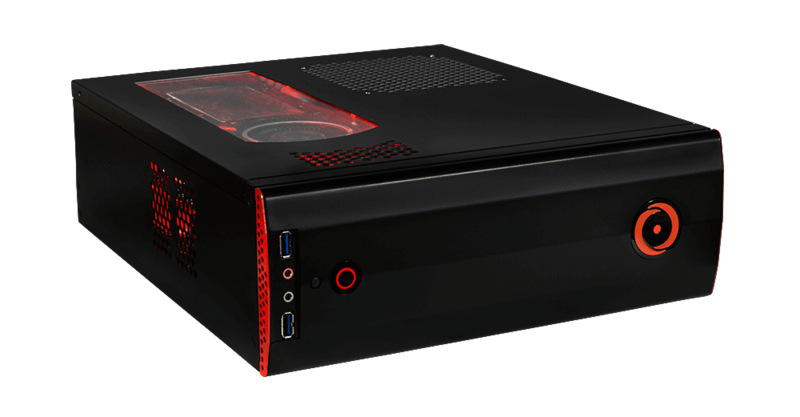 The space saving CHRONOS is able to be placed anywhere, allowing more flexibility when setting up your VR hardware. With the small form factor CHRONOS, you have the power to explore new worlds in VR. 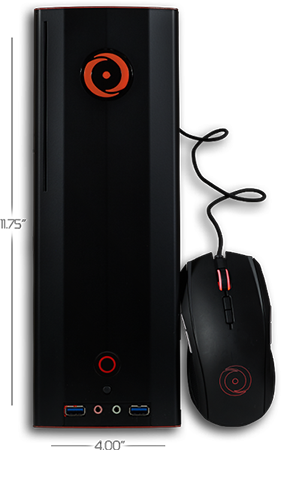 With the smaller footprint of the CHRONOS, you can take it with you whether it’s an upcoming LAN party or tournament. Since it’s as powerful as larger desktops, you can play today’s top esports games with tournament friendly settings. Stream and play the latest games thanks to the liquid cooled CPU capable of handling both at the same time. Store recordings or games with up to 6 SSDs in your system. If you ever need help with your CHRONOS, our support staff is always available to help you keep your CHRONOS running. The CHRONOS supports Intel’s 8th generation Core processors or AMD Ryzen processors for unmatched acceleration of the most demanding applications. 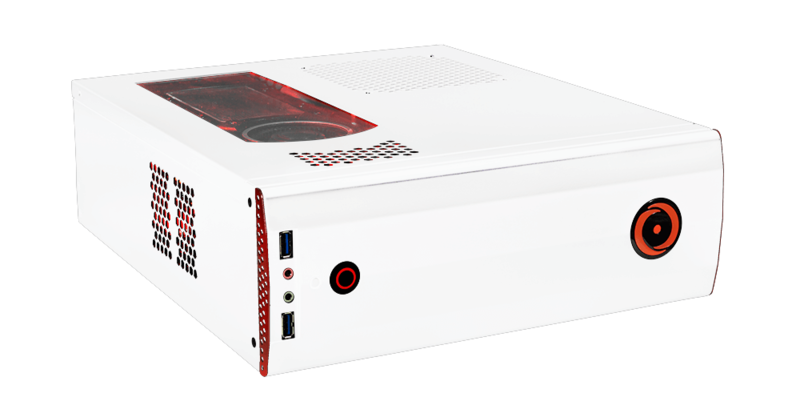 The small form factor supports all the full size configuration options one would want in a desktop, including up to 32GB of DDR4 memory and up to six speed driven solid-state drives for near-instant access to your files and media. 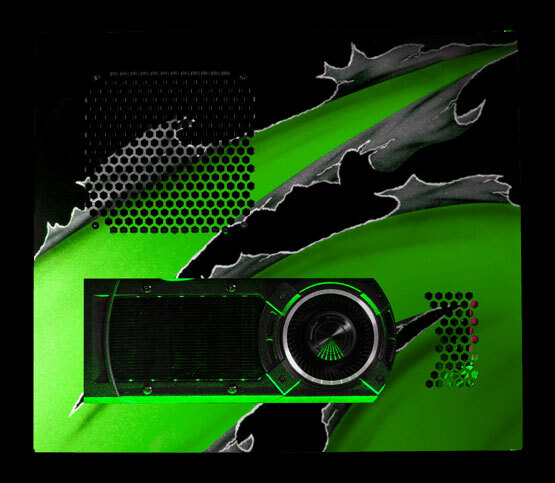 The workhorse of any gaming desktop, large or small, is the graphics card. And the CHRONOS does not skimp on that department. 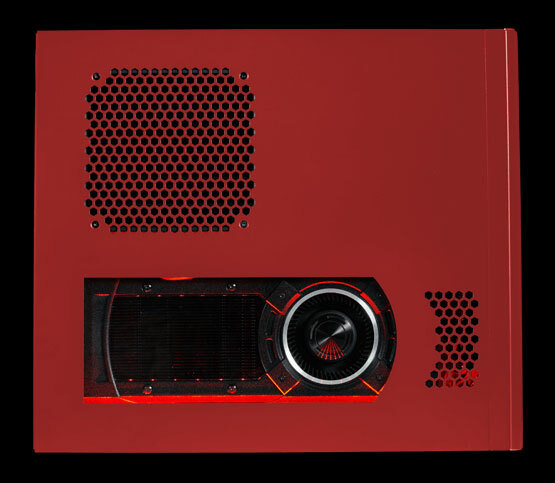 Capable of supporting the massive NVIDIA GeForce TITAN X Pascal, the CHRONOS will take any GPU thrown into it. You can immerse yourself and enjoy stunning visuals in high-definition and in 4K. Those looking for maximum productivity don’t need to look any further. 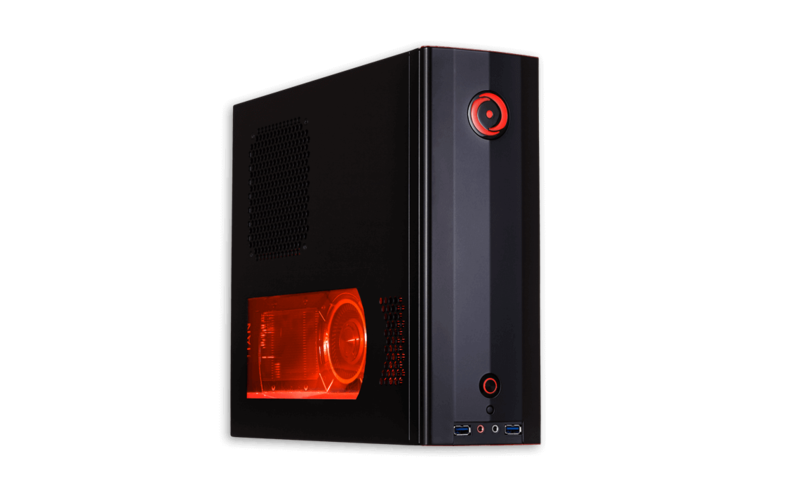 The CHRONOS supports advanced state-of-the-art 8th generation Intel Core i7 processors including the 6-core i7-8700K. Never worry about slowdown with Turbo Boost technology, as this process delivers additional power to your CPU when you need it the most. Combine your Intel Core processor with Intel Optane Memory for several performance benefits from the Intel Core i+ platform. The CHRONOS also supports AMD Ryzen processors with SenseMi technology and up to 8 cores with 16 threads. Creators and gamers can take advantage of the cores and high-performance from Ryzen processors for content creation and HD gaming. “Stock” is dirty word at ORIGIN PC. The CHRONOS can be pushed well past the limits of “stock” speeds with ORIGIN PC’s award winning CPU and GPU overclocking service. Unleash every hertz the processors have to offer. 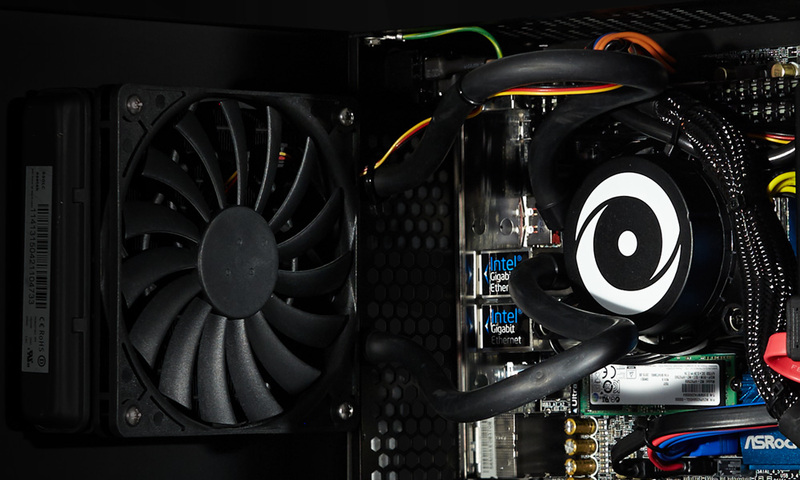 A compact powerful gaming PC will generate heat, which is why internal cooling is extremely important. The CHRONOS was engineered to disperse heat with our advanced Frostbyte self-contained maintenance-free liquid cooling system. Designed, engineered and tested in the middle of a Miami summer. At ORIGIN PC, we’re experts at keeping cool. 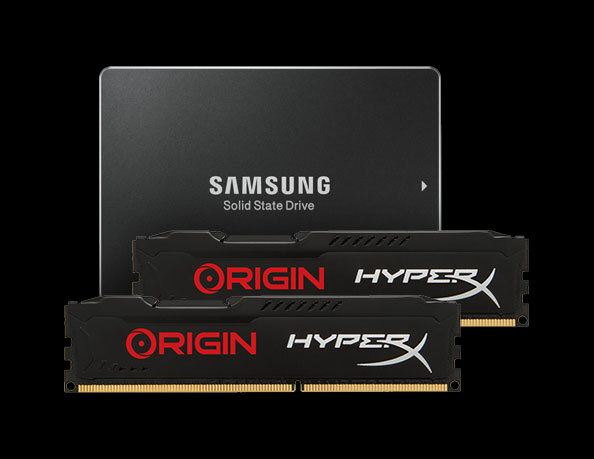 For productivity, gaming and multimedia, high-speed memory becomes increasingly important. Our lightning-fast DDR4 RAM allows you to open and run several applications at once without lag or slowdown. Listen to music and surf the internet while working and get the most out of your gaming experience when you configure your CHRONOS with up to 32GB of memory. The CHRONOS may be small in size, but is massive in its storage capabilities. Configure the CHRONOS with up to six Solid State Drives including one M.2 PCIe SSD for nearly unlimited storage of all your files and media. 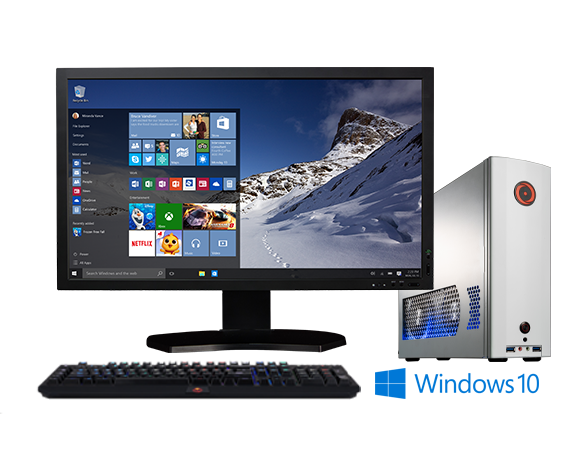 Access everything on your PC the instant your finger leaves the mouse button, thanks to the latest in SSD technology. Today's latest technology has taken the standard 1080 pixel format and quadrupled it. With twice the pixels, you get four times the clarity for near life-like imaging in gaming, video, and pictures. 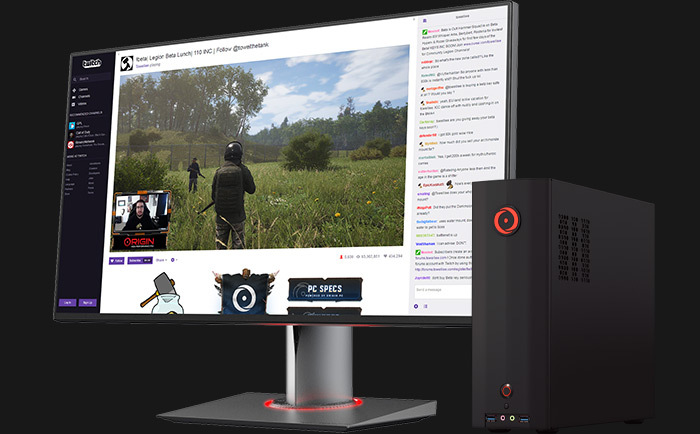 ORIGIN PC's CHRONOS is capable of conquering the 4K future with advanced graphics by NVIDIA to drive all 8 million-plus pixels at silky-smooth 60+ frames per second. 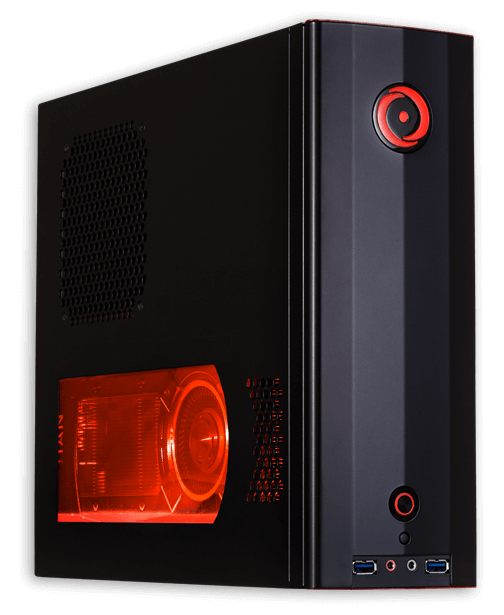 ORIGIN PC offers an array of customization options for your CHRONOS. 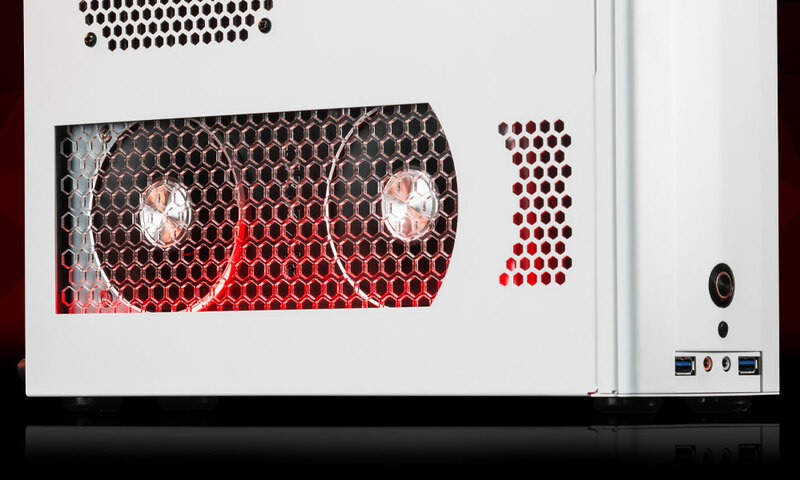 Choose from different color chassis to internal lighting options. Making your CHRONOS one of a kind is our specialty. 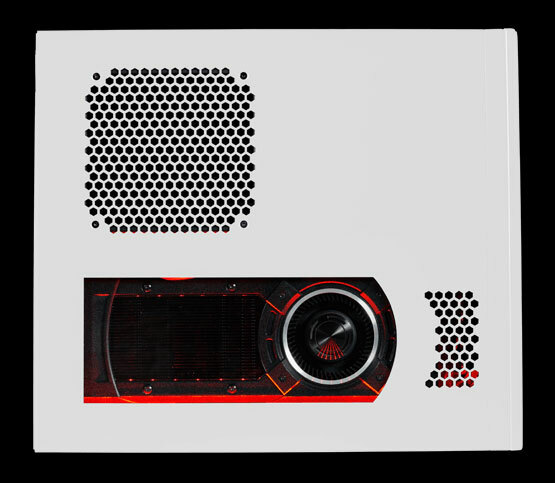 We offer three different colors of the CHRONOS chassis including black, red, and white. For even more color options, choose from multiple paint options including metallic colors, themes, or your own custom design. 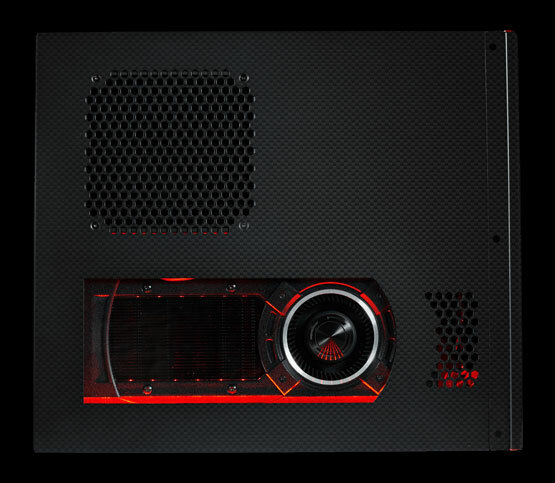 For further customization, choose Hydro Dip to have a custom carbon fiber skin applied to the chassis of your CHRONOS. Have a special design in mind or need help creating one? Contact one of our design engineers who will work with you to put together the perfect design to make your CHRONOS a true piece of art. 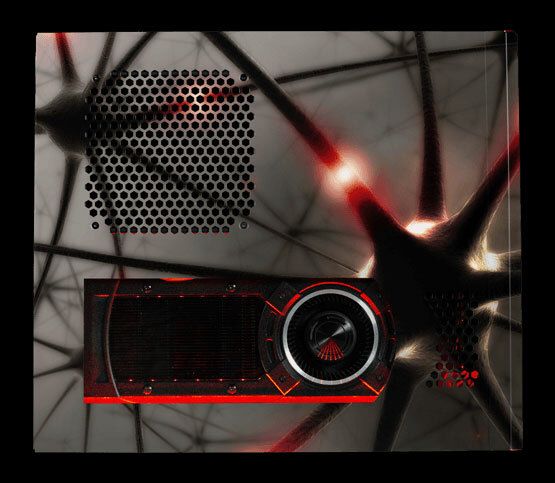 Adding detail to your CHRONOS adds a stylish personal touch making your PC a one of a kind work of art. 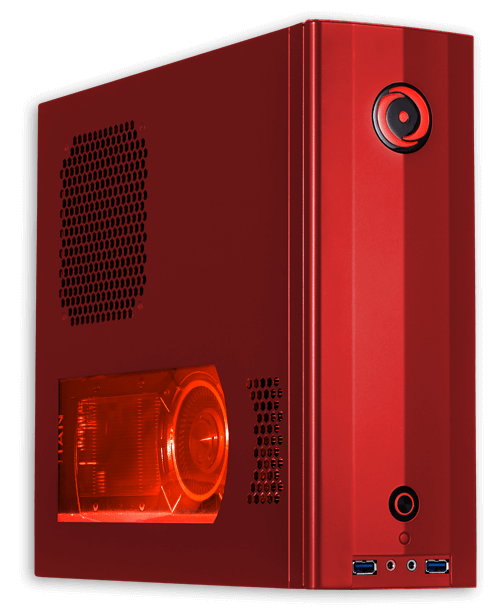 ORIGIN PC offers interior lighting options in red, green and blue, so your system can light up the space around it. With interior lighting, your CHRONOS will make its presence known whenever someone walks into the room. Our job does not end when your CHRONOS arrives. Every ORIGIN PC system is backed by a lifetime service agreement. When you purchase your CHRONOS, you will receive dedicated service, including labor, from our trained and experienced staff whenever you need it. We offer support via email, online chat, 24/7 US based lifetime phone support, and more.